As you know, I immigrated to this country 17 years ago and have since made it my home. The country was good to me and now, as a proud American, I want to give back and celebrate all that makes this country great. 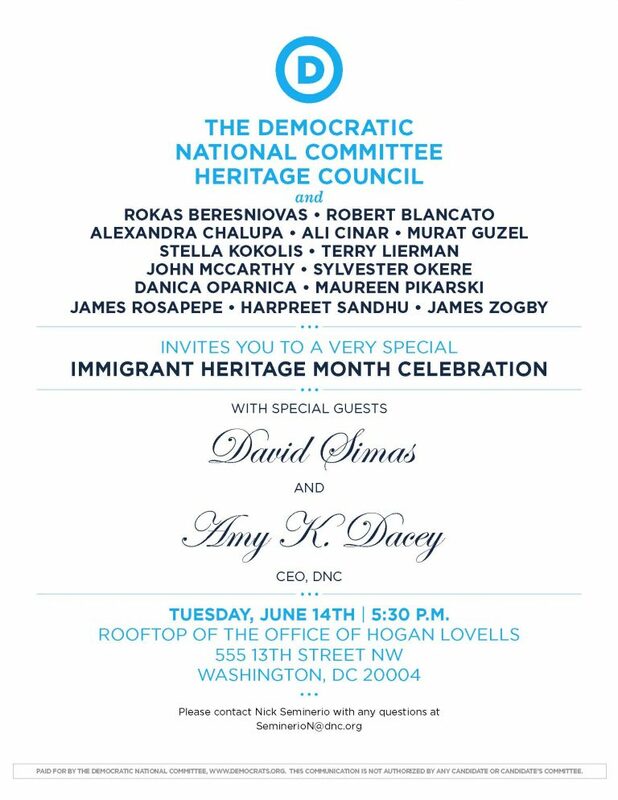 Please join me in a celebration of Immigrant Heritage Month with the Democratic National Committee Heritage Council on Tuesday, June 14th. The event will be held on the rooftop of the Hogan Lovells building, which has both excellent hospitality and views of DC. We will also have great guests joining us: Davis Simas, Political Director of the White House, and Amy Dacey, CEO of the Democratic National Committee.